The eighth annual rankings are based on results of Military Times’ comprehensive school-by-school survey of veteran and military student offerings and rates of academic achievement. JU earned a spot in the top 175 of all colleges and universities across the United States and ranked No. 73 among four-year schools. The news follows JU being designated a 2016 Military Friendly School by Victory Media, named a “Top School” in the 2016 Military Advanced Education & Transition Guide to Colleges & Universities; and ranked among the “Best Colleges for Veterans” by U.S. News & World Report. The Military Times project “evaluates the many factors that help make colleges and universities a good fit for service members, military veterans and their families,” according to the magazine. More than 500 colleges took part in this year’s survey. Many schools apply for the designation, but only the top schools are chosen. Military Times produces Army Times, Navy Times, Marine Corps Times and Air Force Times, and the Best for Vets list appears in editions across the world. In addition, it appears in a special Military Times print magazine issue, as well as on ArmyTimes.com, NavyTimes.com, AirForceTimes.com, MarineCorpsTimes.com and MilitaryTimes.com. With nearly 300 veterans among its 4,000 students, and additional active-duty and military family members, JU has stepped up its offerings and amenities to assist veterans during their educational and cultural experience on campus. To ensure the smoothest educational experience for its student veterans, JU’s comprehensive Veterans and Military Resource Center combines the resources of its Admissions, Advising, Registrar, Controller, Financial Aid, Career Services and Veterans Office with additional University resources including Campus Security, Counseling Center, Tutoring Center, Writing Center and Student Solutions Center. A Veteran Student Coordinator helps prospective and current students with admission, transition, academic success and student involvement. In addition, the JU Office of Career Services offers a unique Veteran Career Track that leverages the experience of military students as they seek careers. Among additional offerings, the University provides scholarship programs; financial aid of about $5 million in VA benefits paid annually; 100 percent Yellow Ribbon Match funding; and a Defenders’ Den Student Veterans Center with more than 1,000 square feet of space centrally located on campus. 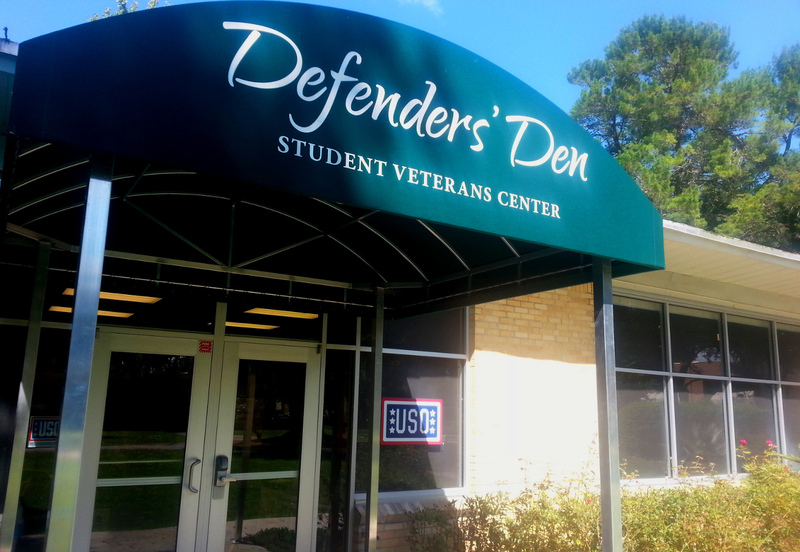 The Den features a computer lab and study area, lounge to relax, flat-screen TV, refrigerator, microwave and comfortable chairs, and includes the only USO Liaison Center located in a dedicated college student veterans center in the United States. The University is also home to one of the largest Naval ROTC programs in the country. 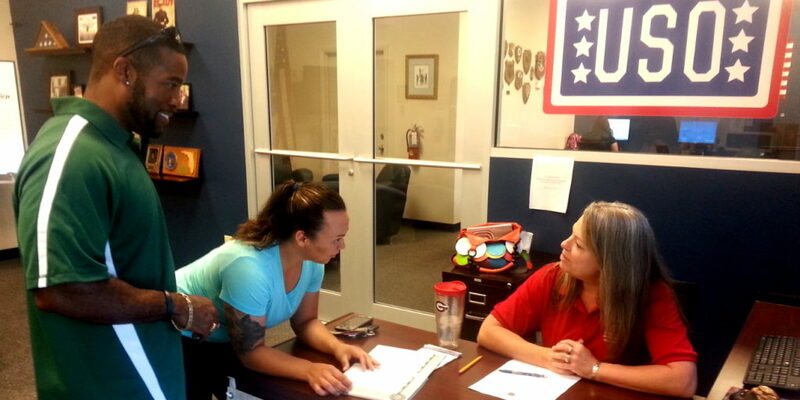 As a founding member of the Northeast Florida Military Veteran College Network, JU and its partners leverage the educational expertise from fellow universities, military installations, Veterans’ Service Officers, and other stakeholders to provide the best experience for its military students. “There is an overall commitment to do new and innovative things for veterans at JU, and to continually strive to improve our programs for them,” Fleming said. Military Times’ annual Best for Vets: Colleges survey asks colleges and universities to meticulously document a tremendous array of services, special rules, accommodations and financial incentives offered to students with military ties; and to describe many aspects of veteran culture on campus. These institutions were evaluated in several categories, with university culture and academic outcomes bearing the most weight. Military Times also factors in data from the Veterans Affairs and Defense departments, as well as three Education Department sources: the IPEDS Data Center, College Scorecard data and the Cohort Default Rate Database. For the full Best for Vets: Colleges 2017 rankings, and survey methodology, visit www.militarytimes.com/bestforvets-colleges2017.